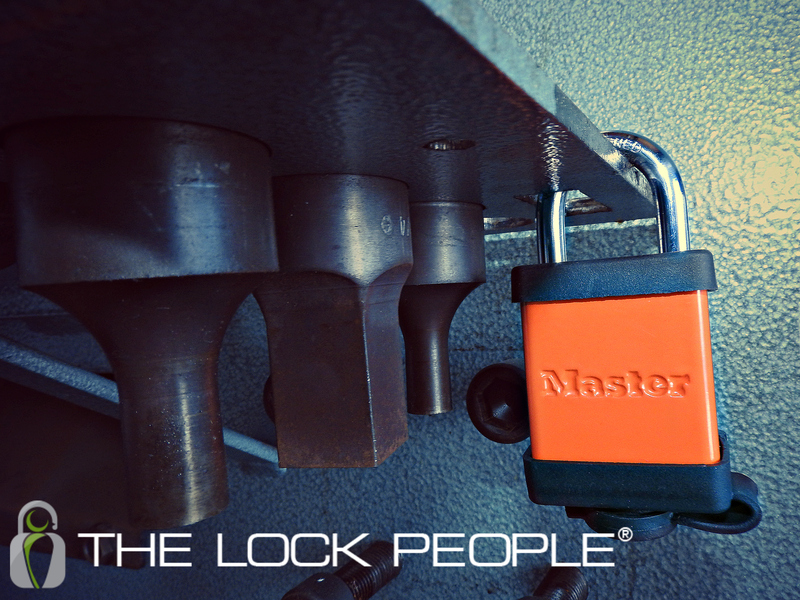 The Master Lock® ProSeries® Solid Aluminum includes one padlock model, the Master Lock No. 6835. The 6835 is available in three different shackle heights: a 1-inch shackle, 1½-inch shackle, and a 3-inch shackle, and in six different colors: Black, Blue, Red, Yellow, and Orange. For multiple lock usage, ProSeries® Solid Aluminum Padlocks are easy to order Keyed Alike and Master Keyed with the correct key number. The option to change these features gives you the opportunity to tailor your padlock for your necessities. The baked on powder-coated finish high visibility color stays bright even in harsh environments. Colors give you the ability to visibly label your padlocks by department, employees, etc. For added protection against dirt and grime from getting into the shackle and key way, a protective case, Master Lock No. S101 can be added to the padlock. The S101 features a key way and shackle seal to keep out foreign materials. Solid Aluminum is best used for Industrial Lockout Tagout. Aluminium is ideal for hazardous environments. Compared to aluminum’s alternative, plastic, aluminum can withstand toxic exposure. Lockout/Tagout standards protect employees from hazardous energy sources on machines and equipment during service and maintenance. The Master Lock Company introduced the ProSeries® line of padlocks in 1992. Master Lock® envisioned a line of padlocks with standard components across the line to be ideal for locksmiths. ProSeries® padlocks feature hardened boron alloy shackles for superior cut resistance, dual ball bearing locking mechanisms that resist pulling and prying, 5-pin & 6-pin cylinders, spool pins, and rekeyable cylinders.